Developed in partnership with Capcom, this mobile Zelda has stood the test of time thanks to its charming visuals and solid gameplay. Instead of going for any big innovations, the developers focused on creating their own colorful take on classic Zelda gameplay. Of course, shrinking down into a tiny version of Link and uncovering new secrets is still one of the most unique abilities of any Zelda game. The quirky cast of characters, including Link’s witty sidekick, also help make The Minish Cap worthy of this list. Rumors of a remake of A Link to the Past had been swirling for more than a decade by the time this 3DS title arrived. Instead, Nintendo launched a sequel that manages to be both a love letter to the classic SNES title while also giving us a fresh take on the traditional Zelda formula. A Link Between Worlds features an item-rental system that lets players take on its dungeons and areas in any order. Its captivating story, wall-merging ability, and beautiful modern version of Hyrule and its dark counterpart helped remind players why 2D Zelda is just as good as the console ones. The first entry in this iconic series arrived in 1986, immediately revolutionizing game design by offering one of the first true nonlinear adventures. In a time when players were used to running from left to right or down a set path, The Legend of Zelda dropped players into a dangerous world with little direction. The thrill of freely exploring Hyrule was unmatched as players learned from their mistakes, collected useful objects, and uncovered all kinds of secrets. To this day it stands as a must-play Zelda for those craving a tough, rewarding journey. After finding success with The Wind Waker’s colorful visuals, Nintendo went back to the dark style of previous Zelda titles. Twilight Princess allowed players to explore the most realistic and expansive Hyrule yet, this time also as a wolf. Looking to Ocarina of Time for inspiration, this 2006 adventure featured some very impressive dungeons and weapons along with a grimmer story. Although there were some pacing problems at the start of in the original, the HD re-release for Wii U fixed most of them. The dream of fitting a Zelda adventure in our pocket became a reality when Link’s Awakening arrived on the Game Boy in 1993. Doubts that a handheld Zelda could match the acclaimed Link to the Past quickly went away as players got lost exploring the mysterious Koholint Island. Link’s Awakening proved to be everything fans of the series loved while also feeling fresh thanks to its strange story, quirky characters, and challenging dungeons. Despite the technical limitations, this top Zelda game is certainly worth visiting 25 years later. Despite having just completed Ocarina of Time, the Zelda team was challenged with creating another title in less than two years. Forced to come up with unique designs and ideas, Nintendo ended up creating a dark, unforgettable Zelda title experience. Majora’s Mask is brimming with emotion as you meet and help characters dealing with the imminent end of the world. A constant feeling of doom drives the tried-and-true gameplay as Link manipulates time like never before, wields dozens of masks, and takes on various forms to save the day. 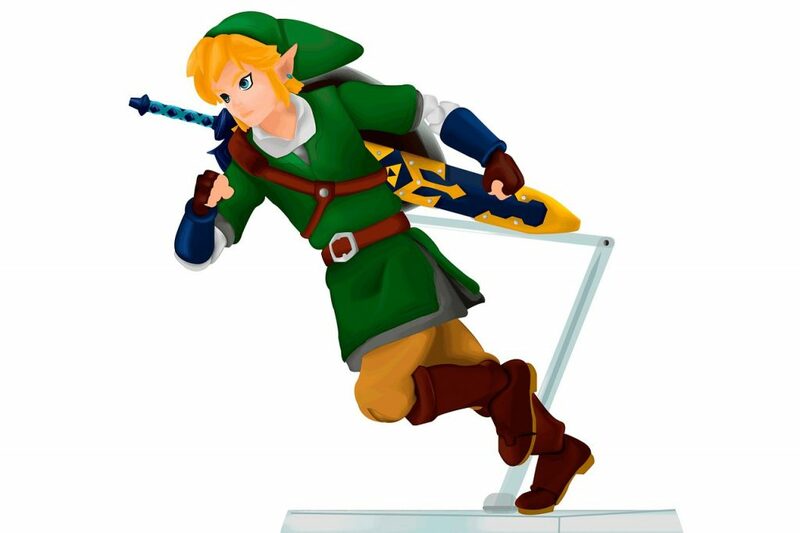 At a time when players had an obsession with realism in games, Nintendo did the opposite by creating a cartoonish Zelda using innovative cel-shading graphics. Their gamble paid off when The Wind Waker immediately captivated players with its combination of gorgeous visuals, addicting gameplay, and memorable cast of characters. Its expansive ocean world and moving story also help make it one of the top Zelda games everyone should play. If there’s one Zelda that went on to influence the rest of the series, it’s this one. A Link to the Past was seen as a technological marvel — players couldn’t believe the world’s scale, complete with an entire alternate version that surprises players halfway through the game. Vibrant graphics, thought-provoking gameplay, and incredible music are only a few of the many reasons why this 1991 title is still worth playing nearly three decades later. The latest Zelda title is also considered by many to be the best. Breath of the Wild arrived when players wanted huge open worlds full of fun things to do and interesting locations to visit. Nintendo delivered by introducing one of the vastest interactive worlds we’ve seen so far in a video game, complete with a design that lets you explore freely with little limitation. Everything from the physics and combat to the breathtaking locales evoke a sense of wonder not many other open world games can provide. One of the most groundbreaking titles in the history of video games, Ocarina of Time‘s achievements resonate even 20 years later. 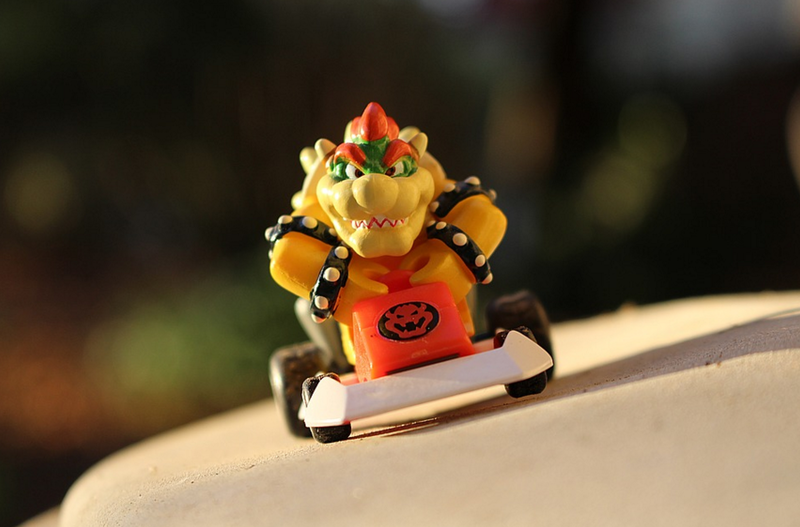 Nintendo’s’ masterpiece pioneered a number of innovations, including being able to lock onto enemies and objects — a mechanic now expected in modern 3D games like God of War and Red Dead Redemption II. Offering a memorable and emotional story, expansive world full of charming characters, engrossing action-adventure gameplay, and much, much more, Ocarina of Time will always stand as a significant leap forward in game technology and design. This December, Netflix anthology series Black Mirror released their first “interactive narrative” episode, entitled Bandersnatch. The critical response was explosive, with some reviewers calling it “groundbreaking” and that the episode “shows what Netflix can do”. Bandersnatch is not the first interactive narrative that Netflix has created. The media service has already created interactive shows based on Dreamworks’ Puss in Boots, Stretch Armstrong, and the hit video game Minecraft — notably, these were made for younger audiences. But just what is interactive narrative storytelling and more importantly, what can you do to prepare yourself to design content for it? 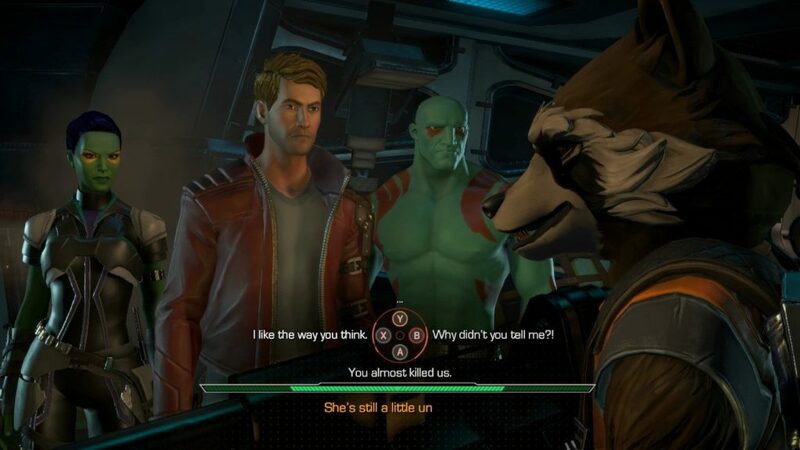 Just to clarify, Netflix’s “interactive narrative storytelling” isn’t quite a game or a movie, but an extension of existing interactive stories like the Telltale adventures The Walking Dead or Marvel’s Guardians of the Galaxy. These choice-based stories run about 30 minutes long, with (usually) six to twelve decision points over the course of the story. Interactive Narrative is based on the concept of branching narrative – a story that resembles a tree of decisions (hence the term “branching”) that moves the stories off in different directions. The hero of a branching narrative can start in a cave in Montana and end up in Medieval Europe or all the way back in prehistoric times! All branching narratives use two main components to create their stories: a decision point and a bottleneck point. Decision points are when the protagonist of a story is forced to make a decision between two or more choices. Often one choice furthers the story while the other leads to the end – often death for the character. You can have more than two decision points, but the more you create, the more story content you will have to create as well. The “branches” of a branching narrative can grow quickly and exponentially, so how do you keep the storylines from getting out of controls? That’s where bottleneck points come in. Bottleneck points are places in the story where all the branches in the story all lead to the same place. For example, it won’t matter if you are nice to the Knight or insult the King, you still end up in the dungeon. While experiments in branching narrative date all the way back to the ‘40s (with Jorge Luis Borges’ The Garden of Forking Paths), the first book of the pivotal Choose Your Own Adventure series was written by Edward Packard and published by Scholastic. The books are written in second-person, talking to its young readers directly. In The Cave of Time, you are a young boy who wanders into a cave but comes out in a variety of locations and time periods. Some of the paths lead to fame and fortune, others to an untimely end. The book was so popular that over 184 Choose Your Own Adventure titles were published over two decades. Over in the UK, Ian Livingstone (who would become one of the co-founders of board game company Games Workshop) wrote his own version of Choose Your Own Adventure books. But Livingstone, being a big RPG gamer, added dice rolls and D&D style stats to his series. These “gamebooks” were a big hit with and over 60 titles were published in the course of the series. The arcade game by Cinematronics and RDI Video Systems was the first to use the then-cutting-edge laser disc technology. Laser disc not only allowed for high-fidelity image and sound, but it allowed the game’s code to access any of the disc’s tracks in any order. Players had to make a choice (usually a direction or a sword attack) within a few seconds’ time; the wrong choice resulted in a humorous death animation. Under the leadership of ex-Disney animator Don Bluth, Dragon’s Lair was a huge success. It was followed by a sequel, Time Warp, and the space-themed game Space Ace. Unfortunately high costs of production shut down Cinematronics in 1984. While computer-based Hypertext systems have existed since the 1960s, it was the inclusion of HyperCard on Apple’s Macintosh computers that allowed branching narratives to become easier to create. Coupled with the Macintosh’s drawing programs, designers and authors could write their own interactive novels and distribute them via floppy disc. Eventually the publishers of text adventure games such as Infocom got into the act; creating interactive fiction games based on Ray Bradbury’s Fahrenheit 451 and James Clavell’s Shogun, as well as original titles such as 1893: A World’s Fair Mystery and Journey: The Quest Begins. The “Script Creation Utility for Maniac Mansion” or SCUMM for short was created by the game developers at LucasArts for their adventure game series. Rather than using complex word parsers like those found in text adventure games, the LucasArts team eventually migrated their interface to a “point and click” system for making choices, manipulating objects and talking with characters. Some of their games like Grim Fandango, Full Throttle and the Monkey Island series to this day are considered classics of the interactive adventure genre. Creators fired up their creativity when YouTube announced that hyperlink style links that could be placed on videos. Chad, Matt & Rob’s Time Machine was one of the first of these interactive narrative videos on the platform. Since then, not only storytellers but advertisers have utilized the interactive feature for their own videos. A quick guide to learn how to make your own interactive YouTube videos can be found here. Following in the steps of LucasArts, Telltale Games single-handedly resurrected the adventure game genre with the release of Sam and Max: Season One on the iPad. The company has since created several interactive games based on popular intellectual properties including Back to the Future, Jurassic Park, Batman and The Walking Dead game. 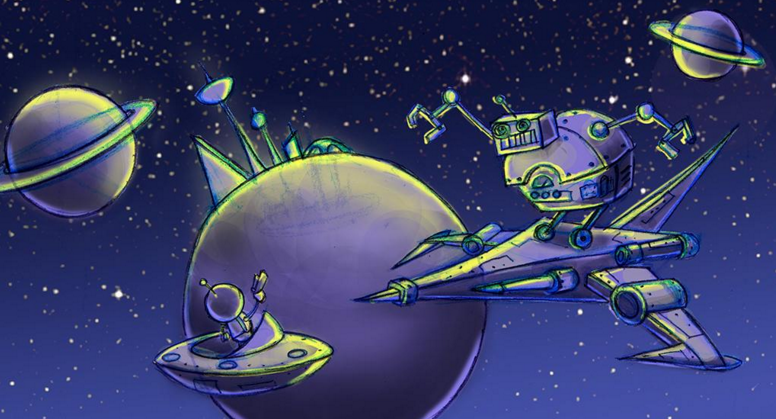 Ready to make your own Interactive Stories? Remember the basics of screenwriting. Even though interactive narratives twist and turn all over the place, they still follow the basic format of all storytelling. Game stories and screenplays are pretty similar in form and format. Make sure the choices make sense. When thinking about where you want the story to go, think about the natural choices the reader will have for the character they are playing as. If the protagonist is standing in front of a haunted house, the choices might be a) open the front door or b) walk around to the back of the house. It doesn’t need to be any more complex than that. Make sure the results are fair. One of the biggest complaints about interactive narratives is that the effect of an action (as in “cause and effect”) doesn’t make sense, or is even fair. Give your readers/players some sort of foreshadowing to let them know what might happen if they make the right or wrong choice. Work backwards if you need to. Sometimes working backwards from the ending you want to have is the best way to keep your storyline from sprawling all over the place. Good luck on writing those interactive narratives and remember that game design opportunities can come from a variety of places — not just games! January and February tend to be a quiet time for game releases, especially following the pre-Holiday season in the Fall. While there’s plenty of new video games coming down the pipeline to get excited later in 2019, we thought we’d look back at some of the best titles released in the last 12 months. Chances are, you haven’t play them all yet, and there’s still time to get 100% completion before highly anticipated sequels to The Division, Psychonauts, and Gears of War come out. What better way to start the list than with perhaps the most anticipated game of last year. Nearly ten years after the award-winning original landed in 2010, Rockstar delivered another Old West masterpiece. Red Dead Redemption II lets you explore an expansive open world as Arthur Morgan, an outlaw and member of Dutch’s old gang. Boasting incredible visuals, improved gunslinger gameplay, and an interesting prequel story, no wonder so many critics named it Game of the Year. Super Smash Bros. is the beloved fighting series that needs no introduction. With Super Smash Bros. Ultimate, Nintendo strove to once again outdo themselves by offering every character that has ever appeared in a previous Smash Bros. title. More than 100 stages and nearly a thousand music tracks were also packed in, not to mention the return of a story mode. 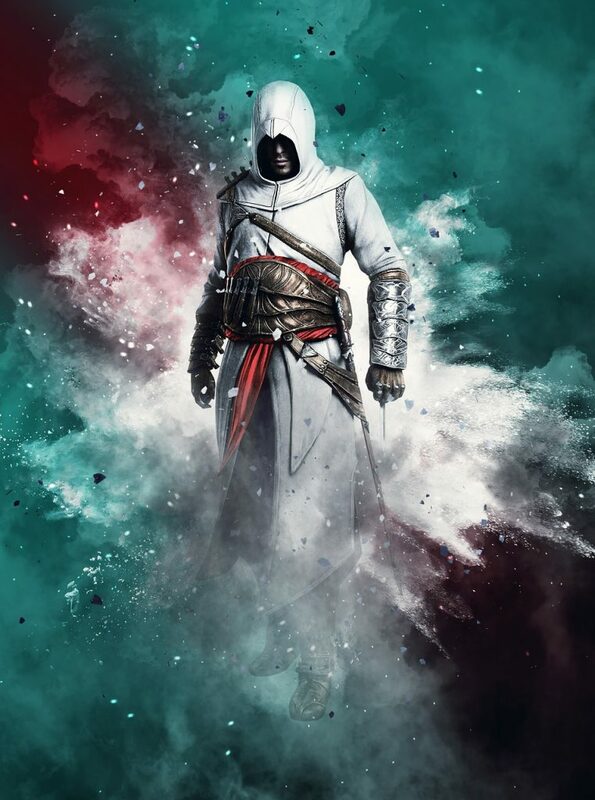 For almost a decade, gamers have counted on Ubisoft to release an Assassin’s Creed game annually. The last notable entry, Origins, was the first to get an extra year of development time as the series’ formula was evolved more than ever before. Assassin’s Creed Odyssey builds off its predecessor with an even bigger world and more emphasis on new RPG elements as players dive into the historic Peloponnesian War fought between Sparta and Athens. 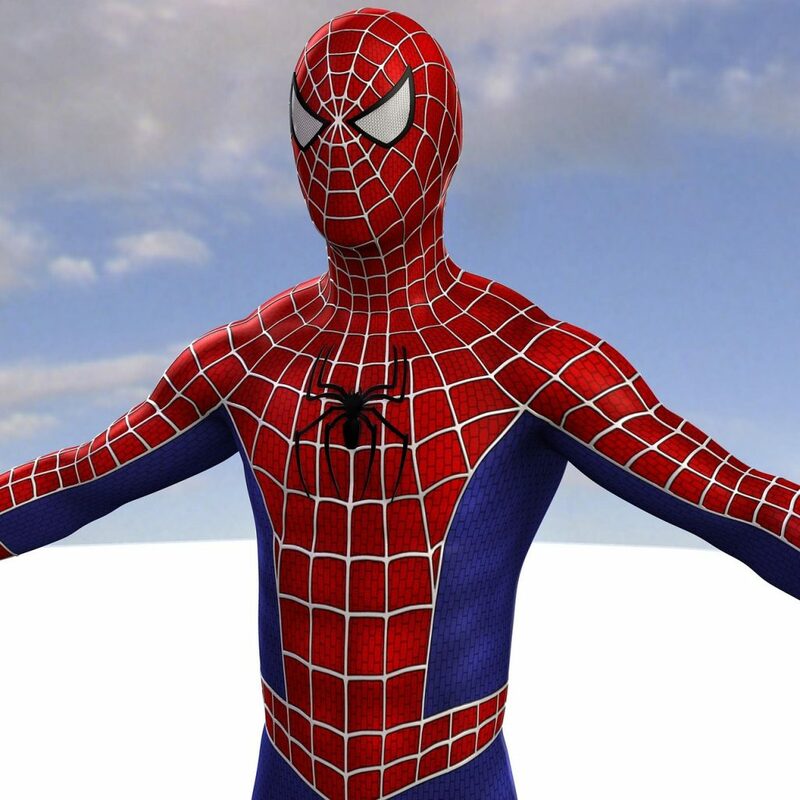 Despite being a uber-popular comic book hero and finding success on the big screen, it’s been years since someone has made a solid game featuring our favorite web-slinger. Insomniac Games didn’t buckle under the pressure of handling their first licensed game and instead delivered a phenomenal superhero adventure. Marvel’s Spider-Man has everything you could want from a Spider-Man game: a huge New York City to swing across, Photo Mode, familiar allies, almost every major villain, dozens of unlockable suits, and much, much more. The Forza series has cemented itself in recent years as one of the top sim racing video games and top grossing video game franchises. Forza Horizon 4 raises the bar even more with its excellent gameplay, coupled with gorgeous graphics that now include a dynamic weather system. Each week, all the tracks transform as the next season in the year arrives, introducing new visuals and environmental hazards. A shared online world is another reason why critics and gamers are together praising this entry as arguably the most acclaimed in its series history. With Black Ops 4, Treyarch has taken a massive gamble by placing their focus on the multiplayer experience, completely omitting a story-driven single-player campaign. Instead, the team joined the Battle Royale race made famous by PUBG and Fornite — letting 100 players face off against each other until only one remains standing. Also included is ever-popular Zombies mode, as well as shorter Solo Missions that reveal the backstories of certain multiplayer characters. In 2013, the series that helped shape the 3D action-adventure genre received a much-praised reboot. Its follow-up, Rise of the Tomb Raider, also impressed by combining exciting gameplay with captivating storytelling. Shadow of the Tomb Raider takes Lara Croft to yet another exotic location as she tries to stop a group of archaeologists up to no good in an ancient Mayan area. Croft’s latest adventure has been praised for its great writing, strong emphasis on exploration, and beautiful visuals. Mega Man fans have long been left out in the cold as Capcom ignored the beloved series since the release of Mega Man 10 in 2010. The wait is finally over as the Blue Bomber returned with a few exciting changes. Although the classic tough-as-nails gameplay is still there, Mega Man 11 features a modern art style as well as two abilities new to the series. Mega Man can now slow down time with the Speed Gear, raise his attack power with the Power Gear, and use a combination of both as he faces Dr. Wily’s latest robot bosses. The famed shooter-RPG hybrid opened its expansive world even more last year and let players explore its post-apocalyptic landscape alongside friends. Fallout 76 is yet another 2018 game focused on multiplayer by giving players the chance to team up and/or destroy each other in a West Virginia wasteland. The world is many times bigger than that of Fallout 4 and expands on many of its popular gameplay features, including the ability to build a base anywhere. While initial reactions have been mixed, the developers also promise to listen carefully to the community in order to make this Fallout the MMO (massive multiplayer online) fans have dreamed of for years. Last September, Sony released Spider-Man, the 35th video game based on the popular Marvel comic book superhero. The game, developed by Insomniac Games (Ratchet and Clank, Spyro the Dragon), retailed for $59.99 and was exclusive to the Sony Playstation 4. 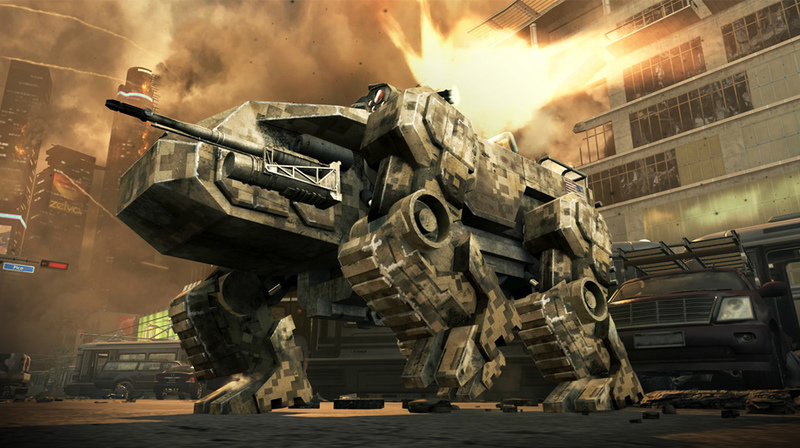 It took two years to develop the game and its production is estimated to have cost around 100 million dollars. Triple-A (AAA) is the classification used for a video game that receives the highest budget from a publisher, both for production and for marketing. An AAA game is expected to be of the highest quality and to earn a high profit to justify its expensive costs. In short, an AAA game is the video game equivalent to a blockbuster film. AAA games like Spider-Man are expensive and time consuming to make. Their premium retail price can be expensive for the consumer. You might ask, with the decline in console sales, why developers are even making AAA games at all? As it turns out, AAA games are still worth creating, for numerous reasons. At 2018’s Electronic Entertainment Expo (E3), Spider-Man gained 37 awards from industry news outlets. It topped dozens of “most anticipated games of 2018” lists. Despite there being hundreds of games released a year, only AAA games typically get this kind of attention. More media coverage means more gamers paying attention to a game, which leads to more excitement for a game – which can result in big sales on release day. AAA titles are often used as a vehicle for launching a new intellectual property. When Tomb Raider debuted in 1996, Eidos went all in on their marketing and licensing for the action/adventure game, putting the character on everything from action figures to magazine covers to shower gel bottles. With commercials that looked more like perfume ads than for video games, Tomb Raider demanded attention. Eidos even hired a real-life actress to play the character for media events. Thanks to Eidos’ media push, Lara Croft appeared all over the news. For a few years in the 90s, Lara was the face of video games. Launching a new IP is always a huge risk, but when it pays off, it pays off big. As of 2018, there are 22 major publishers who make what can be considered AAA games — employing over 300,000 developers in the industry. The majority of working game developers in the United States are working on AAA games. AAA games don’t just employ game developers, however. 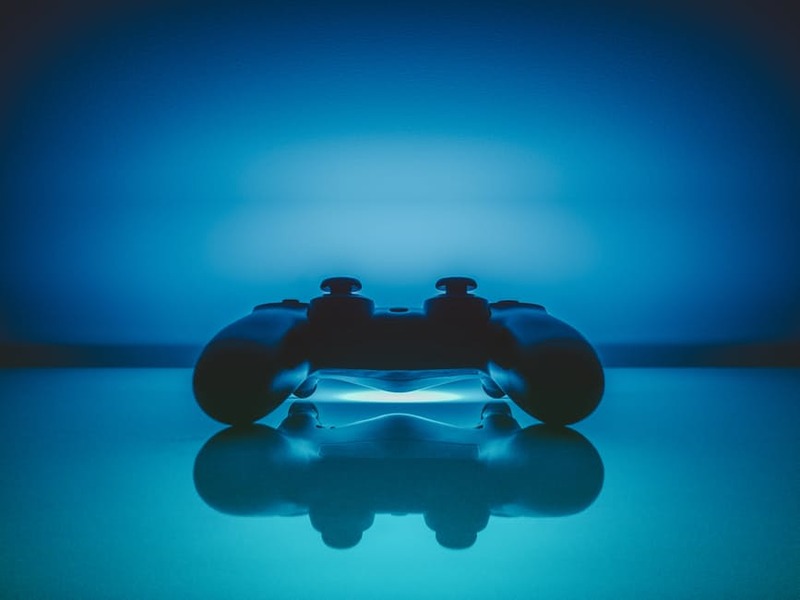 Think of all of the people related to the creation and release of these games – marketing, PR, legal, cutscenes, publicity material, advertising material, commercial directors, and more. There’s a reason why the credits on AAA games are so lengthy. The extraordinary marketing budget for AAA games allows their publishers to reach more consumers through a variety of advertisements. Consumers are bombarded by ads through television, internet, magazine, billboards, and even buses. Thanks to this constant stream of advertising, this means that the majority of games that consumers are exposed to are primarily advertised AAA games. Ask consumers and the media about which upcoming games and they will most likely respond with AAA titles. Almost half of the top 10 games for 2018 were console exclusives. The truth is, AAA games are what sell consoles for the big three (Sony, Microsoft, and Nintendo) and as long as consoles dominate store shelves such as Target, Wal-Mart and Best Buy, these will be the games the consumers will be exposed to. While consumers can purchase smaller, independent titles elsewhere, learning about them and finding them in the store can sometimes be difficult. In 2017, EA cancelled their AAA Star Wars game, citing that a “linear adventure game” wasn’t relevant to today’s multiplayer audiences. However, if the success of games such as Spider-Man (3.3 million copies in opening weekend), Red Dead Redemption ($725 million opening weekend), and God of War (5 million copies sold to date) are any indication, the linear adventure game experience is far from dead. According to gamers and game designers alike, linear narrative games are still the best way for game designers to tell a story. Single-player experiences allow gamers to live out the adventure of a character, which is one of the most exciting aspects in gaming. Have you ever wondered why so many shooters like Fortnite and PUBG display the player in first person? Because it is supposed to be you, the player. However, most story-based narratives will show its character using a third person camera, because it is the best way for the player to see what the character is doing on their adventure and how they carry themselves throughout. Out of a 2017 survey, 9 out of 10 best known characters were in games that used a third person camera. While some may complain that AAA games are ruining the industry, the truth is that big-budget titles like Spider-Man keep consumers excited for games, employ game developers, and make the video game industry the highest-earning entertainment industry in the world. The video game industry can be a tricky beast to predict. Who could have expected a little sandbox game called Minecraft to dominate pop culture, or for the Nintendo Switch to explode despite its predecessor being a sales failure? If there’s one trend that dominated 2018 and shows no sign of stopping in 2019, it’s the Battle Royale genre. The tremendous success of PUBG and Fortnite, the latter boasting an incredible 125 million players, has certainly caught the attention of other developers now looking to take a stab at the popular genre. Even the biggest traditional shooter series like Battlefield and Call of Duty are already releasing their own Battle Royale modes in 2018, which means we’re likely to see many more games of this type released (and announced) in 2019. More than half of core PC gamers in China play PUBG. After the fiasco surrounding Star Wars: Battlefront II at the end of 2017, many gamers expected developers to shy away from loot boxes. They have been one of the more controversial subjects in the game industry — countries like China and Japan are even classifying them as gambling. Of course, developers can’t ignore the fact that microtransactions in free-to-play games raked in $20 billion in 2017. Instead of disappearing, loot boxes will likely still be around in 2019, though developers may take a page out of Epic Games’ book and focus more on cosmetic items that don’t give players a gameplay advantage. Fortnite: Battle Royale, a free game, has brought in more than $1.2 billion in revenue entirely from cosmetic purchases like dance moves and character skins. There was a time when the best place gamers had to show their skills in front of a crowd was at the local arcade. 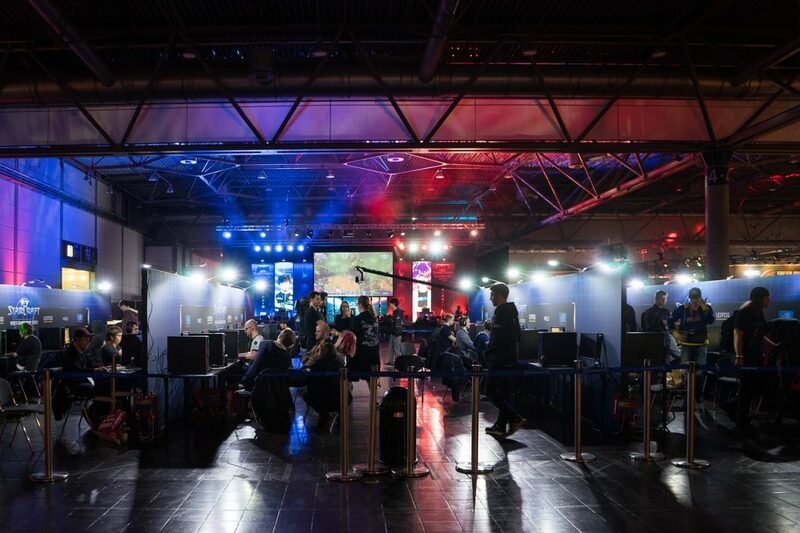 With competitive gaming, today’s top players in the world take the stage as hundreds of live viewers (and thousands more online) watch them compete for prize pools ranging in the millions. The success of eSports already has developers studying popular games while revising their designs in hopes that their title will become a must-play in the competitive scene. At the end of the day, companies know that gaming communities ultimately decide which titles are fun and exciting enough to enter the eSports realm. Twitch viewers spent 355 billion hours watching videos on the platform in 2017, that’s 32% up from 241 billion hours in 2015. 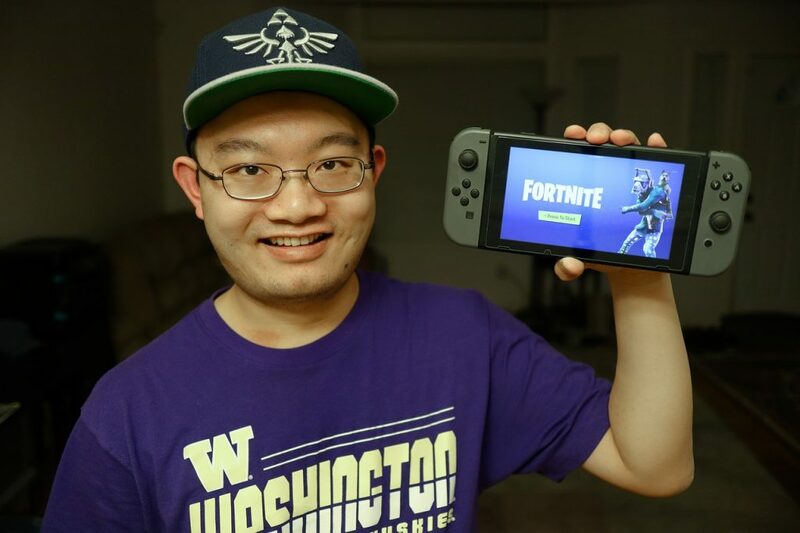 Gamers can be best friends in real life but never play together because one lives in an Xbox household while the other lives in a Playstation one. In 2018, we got our first taste of full cross-platform support as Fortnite allowed mobile, console, and PC gamers to take up arms alongside one another — even Sony eventually buckled under the pressure. As the mobile market continues skyrocketing in growth, console and PC devs are also realizing the benefits of opening the doors to iPhone and Android gamers. 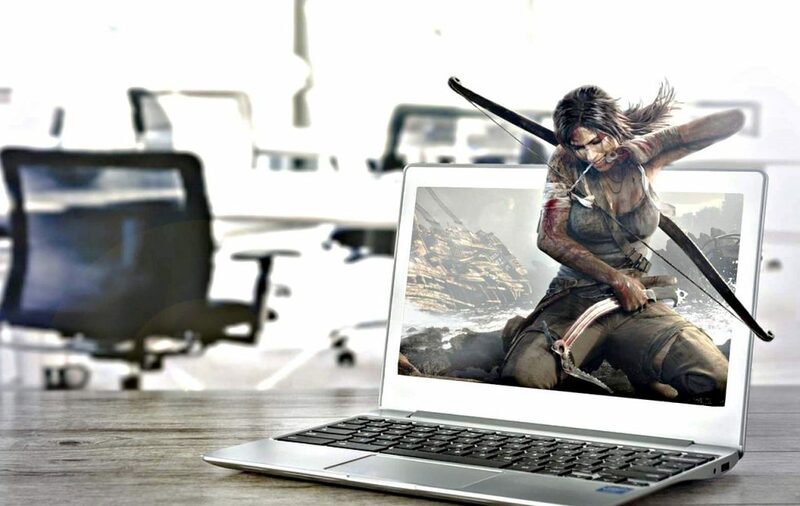 Creating games that are fun (and stable) no matter what device you’re holding is sure to challenge developers in 2019 and beyond, but their efforts may be worth it. While Fortnite is currently still the only game you can play cross-platform on any device, there are already dozens of partial cross-platform titles. Some include: Minecraft, Rocket League, Phantasy Star Online 2, and Forza Horizon 4. Activision turned heads when they announced that Black Ops 4 would not have a story campaign — a first in the iconic Call of Duty series. At the same time, groundbreaking games like God of War and Red Dead Redemption II have shown that players still crave story-driven games. Judging by the latest trends, it’s possible that devs will continue putting their work into either just single or multiplayer games. Even if it feels like a step backwards to those of us who grew up when almost all triple-A games released with both modes, we’re betting more companies will join the trend in 2019. God of War, a single-player only game, sold five million copies in one month, becoming one of the top selling PlayStation 4 games ever. Super Mario Odyssey and Zelda: Breath of the Wild, two single-player Nintendo Switch games, were some of the highest rated titles in 2017. Los Angeles celebrates Halloween better than any other city on Earth. Maybe it’s because so many Hollywood special effects artists live here, or because there are so many theme park enthusiasts who create their own home-made attractions. Or perhaps it’s because LA is home to many famous Halloween-o-philes including Tim Burton, Danny Elfman, and Guillermo Del Toro. Whatever the reason, there is something special about Los Angeles at Halloween time. Every year at Halloween, instructors from the New York Film Academy (NYFA) Game Design school give the same advice: If students really want to learn some great lessons about level design, they should visit a haunted house. Not a real haunted house, but one of the dozens of fabricated haunted houses that can be found around the greater Los Angeles area during the Halloween season. It doesn’t matter if it is an elaborate one like Disneyland’s Haunted Mansion, one of the many walk-through mazes at Knott’s Scary Farm, or a neighborhood haunt, there is a lot to learn from these haunted houses. Scale often plays a big part in epic-ness. The bigger, the better! Scares actually slow down the player as they creep their way through a level, especially if they think a scare is coming. However, if you can engage your player with story or distract them with spectacle, they won’t see the scares coming! While many horror movies and games rely on jump scares and shocks, the best scares come when the player is actually expecting them. The horror game demo P.T. on the Playstation 4 might be the scariest game ever made, but it isn’t frightening just because the game looks and sounds scary. It’s scary because the player knows they have to pass by that stupid bathroom door yet again and something horrible is going to happen when they do. The anticipation is what makes the game terrifying. Nothing unsettles a player like sound. Blowing wind, the creak of an old house, the scrape of a foot along the floor. Use sound effects to not only to set the mood and augment scares, but also to foreshadow them. Think of how sound is used in the Friday the 13th video game to announce the presence of the murderous Jason. Once the player associates a music cue or sound effect with an upcoming scare, watch them start to panic! Players can’t use their sense of smell or touch when playing a video game. Horrific environments like filthy or blood-splattered rooms lose its impact if the player can’t smell or feel it. Limit these types of locations to maximize their impact, or at least have the player character react to them to help cue the player that this is a gross place to be. Limit the field of view. Fight the temptation to fill your level with wall-to-wall scares. The anticipation of a scare is much more frightening to a player. However, avoid predictability with your spacing. For example, you might want to have a player move through two empty rooms before encountering a scare. Then switch it up to frighten them after three rooms, and then change it and frighten them in the next room. Your player will be expecting to get scared, but they will still be surprised when it happens. Rhythm is the key to good scares. At the end of the level, you should ramp up your horror to a frightening conclusion; either let the player escape or lure them to their doom! 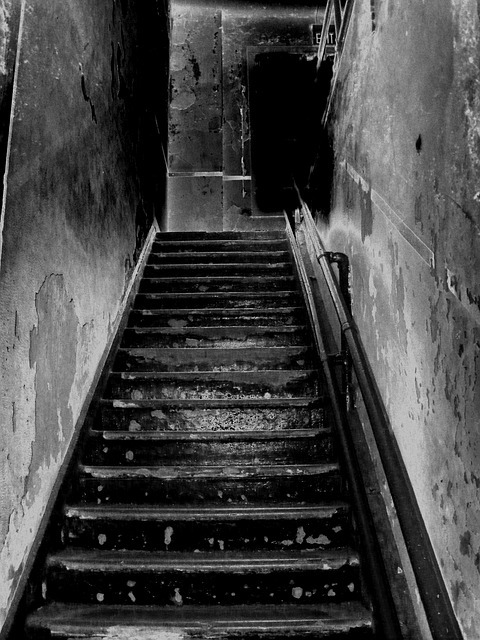 Haunted house experts have revealed that a guest is more frightened when a scare comes from an angle rather than straight on. The reason? Evolution has honed a human’s peripheral vision to watch for danger that comes from behind and the sides of a person. When a danger “appears” from out of nowhere, the result is much more startling! The best way to learn more from a Halloween Haunt is to experience one for yourself! If you can overcome your fear long enough to take note on how these fear-masters use psychology to maximize their scares, you too will be making scary levels like a pro! 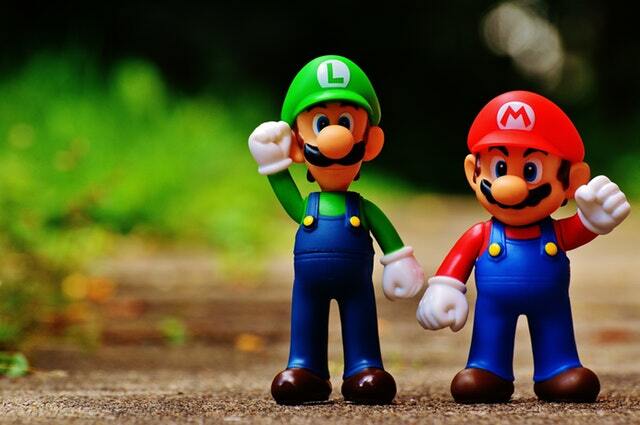 Are you wondering how to pitch to game developers? 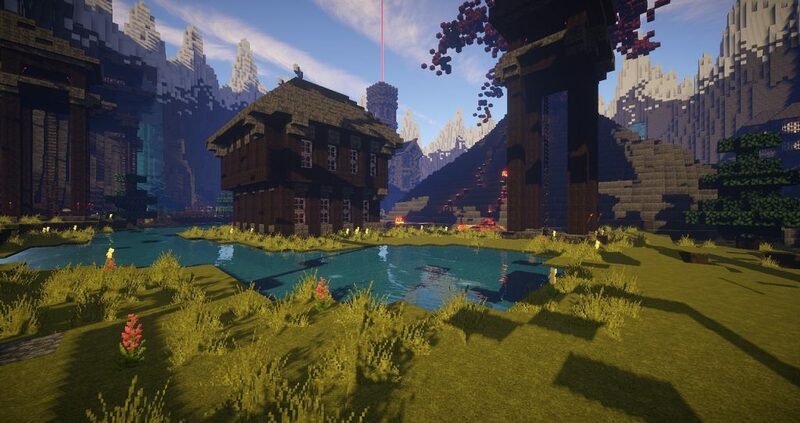 In 2009, twenty-nine year old Markus “Notch” Persson started work on RubyDung, a procedurally generated construction sim that was a mash-up of Dwarf Fortress, Dungeon Keeper, and Roller Coaster Tycoon. By the time he had reached Alpha with his game, Notch had changed the game’s name to MineCraft and decided that he needed to monetize his efforts. In June of 2009, he sold over 1,000 copies at 10.00 € apiece. As the game gained over 20,000 registered players, Notch was able to cut his day-job’s hours back and dedicate his time to finishing the game. By 2010, MineCraft had won game of the year, and Notch had quit his day job. By 2014, he sold his company to Microsoft for 2.5 billion dollars. But Notch’s story is an unusual one. Most game developers will have to pitch their game to someone – be it a publisher, a developer, or a crowdfunding audience – before it reaches market. What is a pitch? A pitch is a presentation created by a game developer in order to obtain a publishing contract or financing. Pitches contain information about your game, how it plays, what it is about, what is special about it, what platform is it for, who is its audience, and more. While there is no hard and fast rule to the format of your pitch presentation, (you can find a pitch presentation outline in my book Level Up! 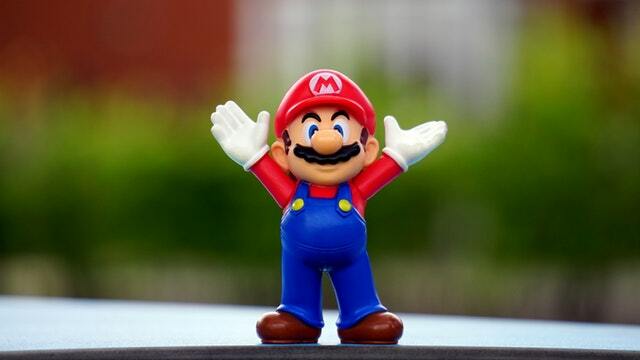 The Guide to Great Video Game Design) there are several guidelines you can follow to make sure your pitch goes as smoothly as possible. Set the tone from the beginning; you are entertaining, not just selling. A pitch is an opportunity to make a publisher excited about your game. 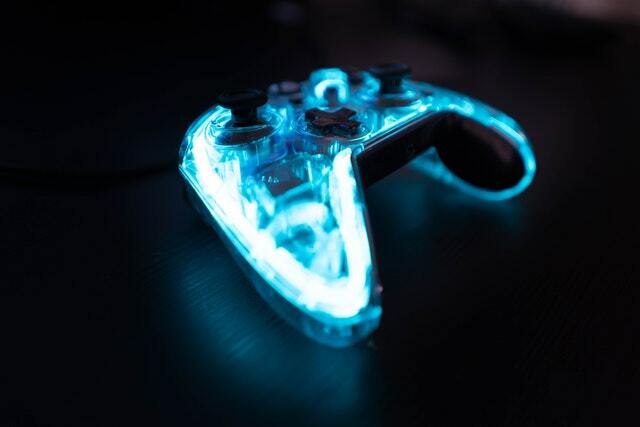 This means showing your game in the best possible light. Showcase whatever is most exciting about your game using images and examples. A little humor doesn’t hurt either. However, a pitch is not a talent show. Save extreme activities like singing, impersonations, and jokes for the talent show. A powerpoint presentation is the most common method of pitching. However, be aware that your audience can lose interest quickly – never linger too long on one slide and never show a slide that only shows words. Have at least one compelling image per slide and make sure that image is related to whatever you are talking about. Use concept art, screenshots, or even inspirational images from other games. If an image looks good and gets your point across – show it! How you present yourself is just as important as what you are presenting. Treat a pitch presentation as if it were a job interview. Dress nicely. Make eye contact while speaking. Speak clearly and not too fast. Be mindful of your body language – avoid crossing your arms and alternate who you are looking at as you give your presentation. If public speaking isn’t your strongest trait, consider pitching with a partner. Recruit another member of your team to help you out with the pitch. Take turns describing the game, the story, the features, and gameplay. You’ll feel much more confident with a backup. USP stands for Unique Selling Propositions. These are the most unique and exciting features of your game. It’s what makes your game stand apart from all of the others. There should be three to five USPs in your pitch presentation. Even if your game has more, try to limit it down to no more than five or six – otherwise you start to “muddy the waters”. USPs are the backbone of your marketing plan. If you need ideas to generate USPs, try looking at the back of a videogame box. USPs are almost always used to sell a game to a consumer. However, many amateur game developers don’t use the right USPs in their presentation. Often “beautiful art” and “engaging storylines” are mentioned as USPs. Don’t use these. EVERY GAME should have beautiful art and an engaging storyline. Focus on what makes your game unique. Is it a novel control system? Is it a brand-new style of gameplay? Is it a powerful engine that can handle a lot of detail? Is a famous artist creating your characters? These are the type of USPs you will want to include in your presentation. Everyone in the pitch meeting is there for a different reason. The head of production wants to know if your team has “what it takes” to make a game. The marketing director wants to know what the “X” and the “Y” of your game – what makes your game “X-citing” and “Y” should I care? The technologist wants to know how you are going to make your game. The project manager wants to know how much your game costs. The creative type wants to know what is cool about your game and how it will play. Make sure your pitch addresses at least a little bit about all of these issues. When entering a pitch meeting, try to meet everyone at the table and find out a little bit about what they do, then cater your pitch accordingly. A good tip is to collect business cards and then lay them out on a table in relation to everyone in the room. That way, you can address everyone by name and have a reminder of what job position they hold. While you are presenting, don’t be afraid to go “off-script”, especially if someone in your audience asks questions. Questions will arise during your pitch and often they will be questions that you don’t know the answers to. Instead of making something up, it’s ok to say “I don’t know” or “we are still considering that” and move on. Publishers know that things change over the course of a game’s production, so it’s ok to have a few issues that you haven’t addressed yet. That said, it’s always better to have firm answers than incomplete ones. The pitch for BioShock changed radically after receiving feedback from publishers. If audience members start to offer ideas, it means that they are interested in your game. That’s a good thing! Make sure to write them down, as they will often be good suggestions. However, if someone offers an idea or suggestion that just doesn’t align with your game, don’t argue or tell the person that it is a bad idea – instead thank them for their idea and move past it. There’s no need to be rude or disrespectful during the pitch. No matter how prepared you are for your pitch, problems can arise. When problems happen (and they will happen) try not to sweat it too hard. Try not to make excuses or downplay your game when it does. Instead, try your best to resolve the issue and continue with your pitch. Technical issues will happen. I have experienced many pitches where the game didn’t work, the camera was broken, the controls were unstable, or the AI didn’t function properly. But that’s OK. You are pitching to people who experience technical issues in prototypes and games in development all of the time. If something doesn’t go right with your demo, just remind them that you are showing off a work-in-progress. Your audience will generally understand and be patient with you. Try to resolve your technical issues quickly, but even if the situation is unsalvageable, don’t give up hope. The best pitch I ever experienced was for the game that became Evolve. The Turtle Rock team brought in their playable demo and of course, it didn’t work. Their Powerpoint presentation wouldn’t load. But they didn’t let that phase them and because they were so enthusiastic and knowledgeable about their game, they managed convince THQ’s management to sign the game! Just remember to be prepared, be flexible, and remember to have fun. With some practice, you too will soon be pitching like a pro! Good luck with all your pitches! You don’t need to be a gamer to recognize the incredible success of Fortnite: Battle Royale and Overwatch — two of the most popular games in recent years that also happen to be multiplayer-only. As these types of games continue raking in millions of players (and dollars), whispers of shrinking interest in story-driven experiences have spread throughout the industry. But several single-player games like God of War and Detroit: Become Human continue to capture the hearts of modern gamers. This includes Red Dead Redemption II, an upcoming game surrounded by incredible hype for its promise of a thrilling Wild West tale. It’s clear that whether they make the most money or not, games that tell good stories are as desired and beloved as ever before, if not more. Fantastic games like these don’t just happen. It takes tremendous effort from start to finish in order to marry good game design with memorable storytelling. The debate of what comes first — story or gameplay — has been argued for years. Everyone has different preferences — some of us are drawn to games mostly for their strong narratives, while others deciding what adventure to invest hours into look to enticing mechanics. Both are integral when it comes to designing a game that tells an unforgettable story, but games are different compared to other forms of entertainment because they are based on a unique foundation — interactivity. This core of gaming comes with the challenge of having to create characters, stories and worlds where players make decisions. Whether you’re developing a complex 3D action-RPG like The Witcher 3, or a simpler 2D adventure like Blossom Tales, it’s arguably better to begin by piecing together fun gameplay elements that you will add story to along the way. No matter how great your characters or dialogue are, or that amazing plot twist you know will blow people’s’ minds, it will take engaging gameplay to keep your average player going long enough to see your story through the end. Games have proven themselves to be a powerful storytelling medium thanks to titles that not only provide enjoyable gameplay but also leave an emotional impact via compelling stories. One way to help your game hook players is by hammering out the key story elements early on: a cool central premise, strong characters that evolve, an interesting world, and stirring conflict. Of course, games are unpredictable beasts that almost always change throughout development, thus the best stories are flexible ones. Certainly do your best to protect your vision, especially if it was your primary inspiration in the first place, but you also have to be willing to change (or entirely axe) precious ideas. 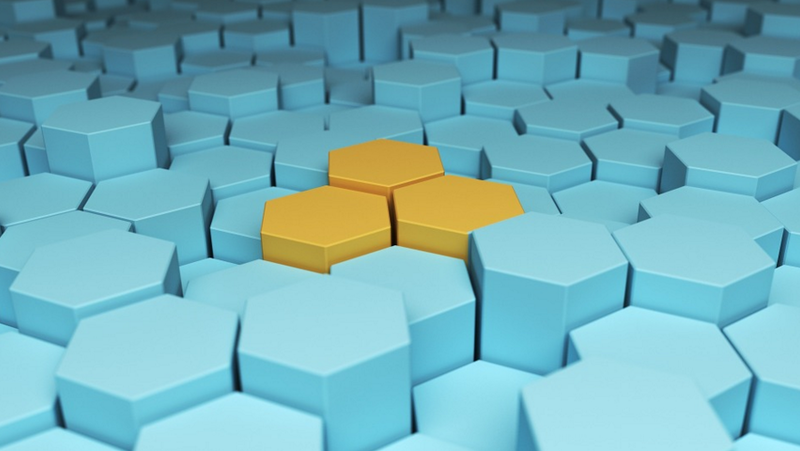 Whether it’s a boring boss that needs to be reworked, or a crucial playable flashback that needs to be cut due to lack of time or resources, you’ll always be ready to come up with another good idea if you maintain an adaptable and creative state of mind. And finally, the two become one. Not all game types and genres depend on storytelling in the same way. Role-playing games will normally have a bigger spotlight on narrative than, say, a racing simulator. But whether you believe story or gameplay is more important, there is a middle ground that most game developers will accept. In other words, a game whose creators worked hard to find harmony between mechanics and narrative is a game that players will not want to put down — and when they do, they’ll be talking about it. Some developers make the mistake of tacking on story elements toward the end of the process. For them, narrative is an afterthought that’s eventually integrated, poorly, when the need for dialogue, cutscenes, etc. arrives. Similarly, there are also many examples of games where the story was so important and untouchable that gameplay suffered for it. There’s a reason why many game development positions today require applicants to understand the intricacies of weaving story with gameplay: when done well, you design a game that people won’t soon forget. Today’s video games offer some of the most captivating worlds and stories one can experience. 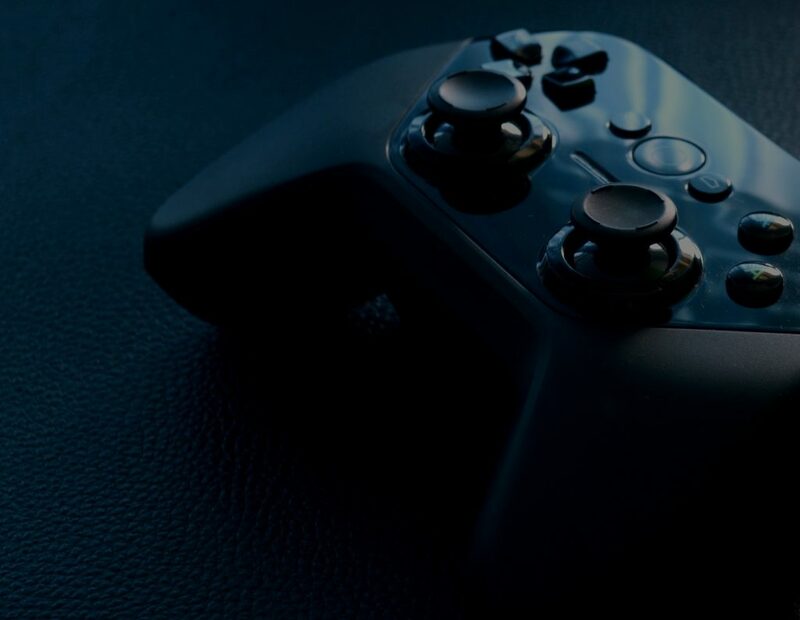 From incredibly realistic environments to impressive artificial intelligence, games have evolved at a faster rate than perhaps any other entertainment medium. It’s hard to believe that, a little over two decades ago, the gaming industry was just transitioning from 2D to 3D. Of course, games couldn’t have gotten to where they are today without the old-school classics and the innovations they contributed to the field, still used by game designers today. Game development was a different beast back in the ‘80s and ‘90s; teams didn’t have millions of dollars and years of development. Instead, you were required to create a game — sometimes in less than a year — that would convince people to drop their hard-earned cash. This meant crafting worlds and gameplay that was not only captivating but also challenging. Otherwise, gamers would fly through in a few hours and want their money back. Thus, many retro games are masterpieces when it comes to providing a satisfying level of difficulty that, rather than frustrating players, made them want to get better. Instead of having to get through thoughtless quick-time events, players were pushed to memorize enemy spawn locations, boss patterns, and power-up locations, increasing their skill through gameplay to unlock rewards and advance. There’s a reason why many of the most popular gaming franchises today got their start back in the “golden age” of video games; although there have always been copycats and clones, developers making old school games had comparably less time and money riding on one project, which meant they could take more risks. Those risks led to lots of creativity, with games within the same genre full of variety. For example, if you wanted a change from your favorite beat-’em-up, you had everything from Teenage Mutant Ninja Turtles and Golden Axe to Battletoads and Streets of Rage 2. In contrast, you can take several of today’s first-person shooters and find that they look remarkably similar. If you don’t agree, consider how every developer is at the moment scrambling to cash in on the very popular “battle royale” style game after the success of Fortnite. Game developers were limited in a number of ways in the ‘80s and ‘90s, compared to today’s studios. Visuals, of course, could only handle so many pixels, as devs also had to create fun experiences with controllers and arcade machines with far fewer buttons. Because of this, old-school games feel like compact, thrilling bursts of fun that you can pick up and play without the need for tutorials or getting used to complicated control schemes, etc. Even a complete gaming novice can pick up an NES controller, boot up Mega Man and have a great time. 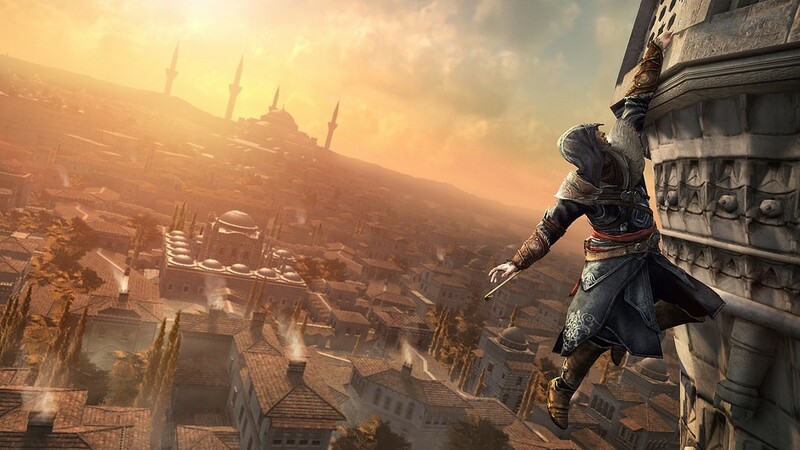 Compare that experience to Assassin’s Creed, where novice players must familiarize themselves with lengthy story scenes and tutorial segments before they can get to the meat of the gameplay. Old-school games also didn’t require signing into an account or having an online connection to play — just another way these games remain accessible and simple to enjoy, no matter your level of expertise. On the other hand, we have to acknowledge that many of the multiplayer games we enjoy now let us do things we could only dream of in our wildest imagination, back in the day. Fortnite, for example, lets you play against a whopping 99 other players in a world where you can destroy almost everything in the environment — all while building massive towers and bridges. The only downside is that if you want to play on the couch with a friend, they’ll need to bring their own TV screen and console; like most modern big-budget titles, there’s no local multiplayer. Before the advent of high-speed internet, devs were almost obligated to make fun games that friends could play together. Arcade cabinets were surrounded by teens watching players duke it out in Mortal Kombat or unite to tear a city apart in Rampage. As most of today’s developers realize the ever-existent hunger for couch co-op games, we can’t help but recall the hours of enjoyment old-school games gave us alongside friends and family. Remember when you could play a game without having to wait for console boot-up times, long loading screens, or new patch updates to download? Pepperidge Farm remembers. Learn more about Game Design at the New York Film Academy. Adding storytelling to your game can help you connect emotionally to your players, add meaning to the experience, and increase long-term engagement. But stories can become more of a nuisance if not implemented properly. Following a few rules of thumb will help you add storytelling that does not clash with the rest of the experience. As I mentioned in a previous article, a combination of good art and fun game mechanics is a very effective way to attract players and create immediate engagement. But even good game mechanics can get repetitive and tedious over time unless they are accompanied by a larger meaning or drive, which is often provided by other elements like story and social connection. Events are much more meaningful if they are tied to a larger story. When playing basketball, scoring a basket is fun, but the experience is much more meaningful and powerful if that basket is the winning basket at the end of a game against a long-time rival team, even more if winning will let us get a scholarship to a renowned college … and will make us the first in our family to get a college degree … which will eventually let us to help our family get out of poverty and … you get the idea. What is so powerful about stories is that they can wrap up the combination of ideas and emotions that form our experiences in ways that we can easily understand and link to our values and other experiences in our lives. A story can turn an abstract goal into something that relates to our values and views of the world. There is one single element that fuels a good story: conflict, says Evan Skolnick in his excellent book “Video Game Storytelling, What Every Developer Needs to Know About Narrative Techniques.” He is right. Story is not a lot of blah blah blah, it is not fueled by details about characters, feelings, and places, it is fueled by conflict, by someone wanting something and not being able to achieve it because of something else. Make that conflict clear as soon as you can in your game. The more your players can relate to the story’s conflict and to what is at stake, the more compelling your story will be for them. The faster you can introduce your players to that conflict and why it matters, the easier it will be for them to find meaning in the activities and goals they need to complete. The conflict you show your players first doesn’t need to be the only one. It doesn’t even need to be the main one, but it should be the one that helps the player makes sense of what he/she needs to do in the game next. There is an old axiom in Hollywood that says: “show don’t tell.” If you want to communicate how courageous a character is, don’t say it: Instead, show the character doing something courageous. If you want to communicate how courageous and powerful a character is, give her powerful abilities and give her big challenges to face. Instead of telling the player the attributes of her character, let her experience them herself. If you cannot find a way to communicate story through actions, then use visuals as a second option — and only if there is no other way of conveying important information that your player needs in order to make sense of what she is doing, say it through dialogue or text. Rule of Thumb 3: Keep It Simple and Minimal. The right story makes the game more intuitive, but to do that it needs to be simple. 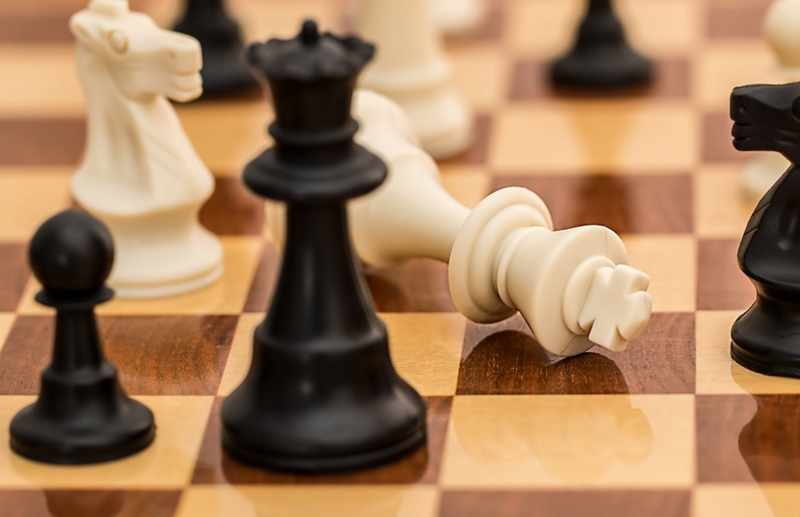 It can get deeper and more complex as the game progresses, but the primary goal is to make your game’s goals and rules easier to connect with and easier to understand. If the story is not making it easier to play, chances are it is not the right story. The story should also be kept to a minimum. One of the main mistakes that game developers make when adding story is trying to communicate at the beginning of the game all the background of the story to the players. Players generally do not care about your story details or your characters until they are more invested in the experience as a whole. It is important to provide meaning, but you don’t have to provide the player with more information than the bare minimum to make your immediate goals and activities make sense. The worst thing you can do is present your player with a bunch of information that they don’t yet care about. Long dialogues and explanations are usually skipped and all your work will be in vain. Start simple, and add complexity only if the rules and goals of the game require it. Evan Skolnick divides story facts into three categories: first, facts that you need to know right now to understand what you need to do in the experience; second, facts that will be important later in the experience but you don’t need to know yet; and third, facts that maybe add flavor but are not essential at any time in the experience to understand what you need to do. As a rule, the only information you really need to give the player is the one related to the first category. Save the rest for later and even then try to convey it first through actions and visuals. Let’s look at chess as an example. It may be an extreme case but it exemplifies the points I am making. You know who your enemy is because your team is one color and your opponent is the opposite color. You know that there are different characters because your pieces have different shapes. You know who is in your court and how powerful they are because your different pieces have different attributes and behaviors, and some of these attributes prove to be more powerful. The story in chess is simple and minimal. It helps us make the rules and goals of the game more intuitive; like the fact that only knights on horses can jump other pieces, or that the most important piece is the king — but the game does not give us additional information that is not essential to understand what to do next. 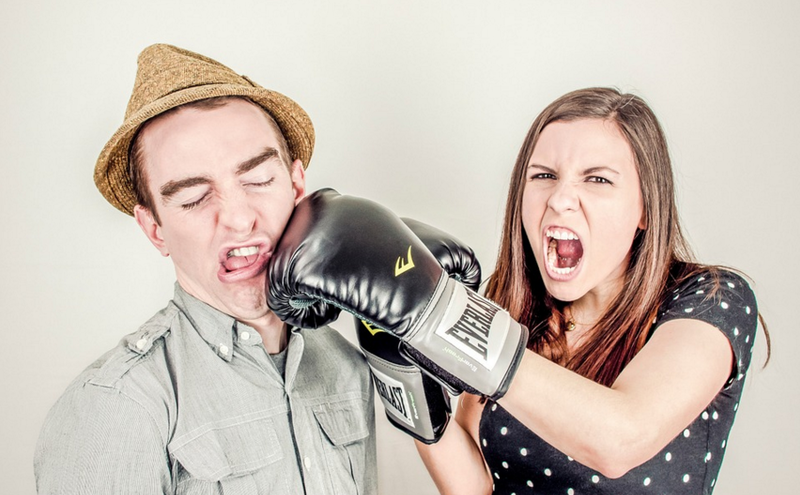 Introduce a clear and easy to understand conflict as soon as you can. Communicate your story through actions first, visuals second, and only as a last resort through dialogue and narration. Keep the story simple and minimal, give you player only the information than helps him/her understand what he/she needs to do in the game at that point. The beauty of video games is that they can take you to any point in space and time you can possibly dream up. Want to run a cobalt trading operation between two regions of the Milky Way? Elite: Dangerous has you covered. Want to play as a mutant monster hunter caught in the middle of an empire-wide war? Look no further than The Witcher franchise. But if you’re a game designer, there’s a strong case to be made for setting the action in a real-world, historical setting. 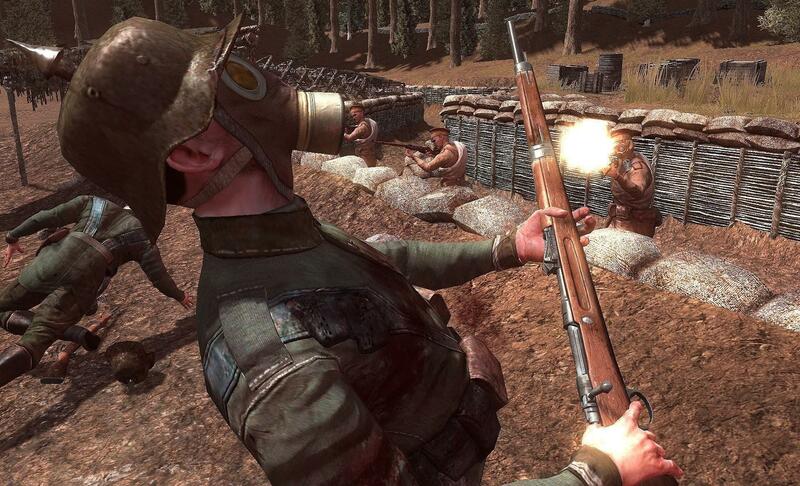 To illustrate, we’ll delve into the example of World War I as a setting for games. The number of games set in a post-apocalyptic future is gigantic. 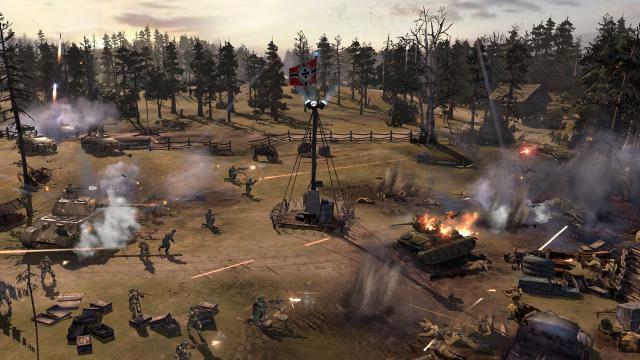 Game developers have also seen a lot of success using World War II as the backdrop — in fact, the list of WWII games is longer than you could shake a bayonet at. On the other hand, the list of World War I games that have ever been created since the infancy of video gaming is surprisingly stark (and of those, the majority are flight sims). There are some very valid arguments to be made as to why The War to End All Wars isn’t an ideal setting for a video game (or, at least, less ideal than WWII), and they’re perhaps deserving of their own separate article. 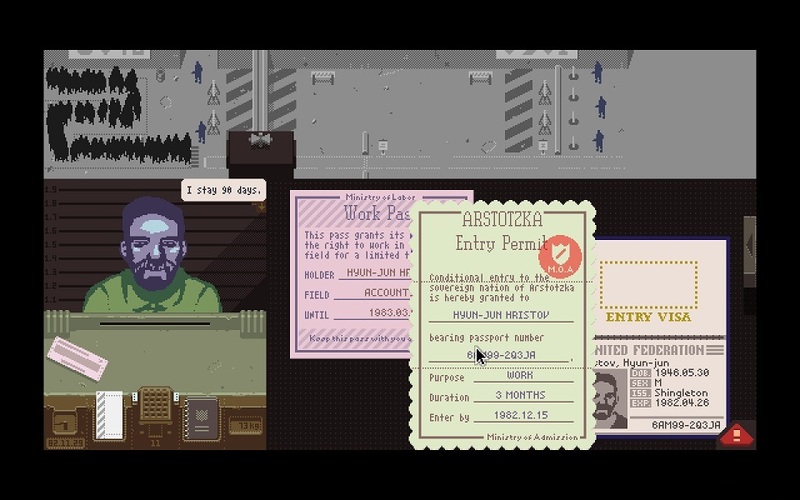 But suffice it to say, nobody thought a game about processing paperwork in a grey, pseudo-Soviet setting was a thrilling idea until “Papers, Please” came along. If the idea of turning one of the darkest, bloodiest and most senseless wars in recent history into fodder for a video game sounds like it would be in bad taste … well, it doesn’t need to be that way. While the principle purpose of video games is entertainment, it’s not the only benefit that can come from playing them: they’re also a medium for education. Continuing with our WWI example, very few — if any — among us can truly appreciate the realities of WWI. 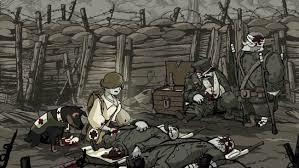 An interactive medium like gaming, perhaps even more so than extensive reading about the war, has the capacity to help us empathize with the situation in which millions of soldiers found themselves. The reason this is both poignant (when handled right) and important is that this is a monumental world event that is quickly fading from living memory — the last surviving veteran of World War I, Florence Green, passed away in 2012. Two reasons game developers shy away from this period? Firstly, it’s a war from which there are comparatively fewer records, first-person accounts or artifacts from which to draw inspiration. Secondly, it was a very complicated war from a political standpoint, set it a world markedly different from our own (the political climate behind the second World War are more readily understandable, and it’s easier to differentiate between the heroes and evil parties). But these are also precisely the reasons why video gaming should step up to the mantle and represent this time for the benefit of modern players (and it’s not as if there isn’t a market for gamers who want to see historical accuracy in games). If done well, any historical games — not just those set around WWI — can be a big win all around: profitable for developers, entertaining for players, genre-pushing for the industry and preserving a little slice of history to boot. It may well be that non-RTS games set around WWI are fundamentally difficult, but that era does serve as a good case study and opens up a wider discussion on how public interest in certain historical periods influences the game industry. It’s little surprise that COD and Battlefield games set in the Middle East dominated the charts during the 2000s, given the real-world events of that decade. Outside of modern warfare, we’re seeing a lot of Viking-inspired games coming out on Steam this year — it could be the case that this trend is being fueled by the spectacular HBO show “Vikings” and the success of the “How to Train Your Dragon” franchise. Or, alternatively, the slew of archeological findings from that period may have spawned a resurgence in public interest, which in turn has shaped gaming and movie trends. Whichever way around it may be, it’s our job as game designers to identify such trends and deliver a quality gaming experience around them, ideally before everyone hops on the trend and it becomes oversaturated. After all, it would be somewhat foolhardy to make a COD-esque FPS in the current market. But if you can be the first to identify a nonfiction story or era that has yet to receive an amazing game treatment? That’s the holy grail right there. Ready to learn more about Game Design? Check out our Game Design programs at New York Film Academy.